Accused of Being a Dishonest Tax Preparer! IRS will investigate tax return preparers that it believes have intentionally, willfully cheated the tax system with fraudulent deductions, credits, and magically large refunds for their clients. So why is this a problem for you? Many of your would-be clients seek out dishonest preparers, because the dishonest tax return yields a much bigger refund than otherwise. You, on the other hand, prepare returns with integrity, accountability, and accuracy. And often, that accuracy does not yield the large refunds achieved by those “other” preparers. So your potential clients seek out those preparers willing to cheat to get large tax refunds. This unlawful practice creates, for you, unfair competition during tax prep season. This situation has been increasing since the IRS combined free refundable credits, electronic filing and refund anticipation loans. Its getting worse. Therefore, more and more preparers are being investigated. We should not be surprised by this tax-prep market competition. Of course there are fraudulent preparers. But often, there are customers willing to commit a little fraud upon their unsuspecting tax professionals. And the tax professional is unaware of their participation in breaking the law. Example: A man from Aurora IL visits a return preparer in Will County, say maybe from Bolingbrook. He finds this tax accountant because his co-worker bragged about the huge refund she received from the same Bolingbrook-based preparer. Then, in also seeking to receive a similar refund, the man shares with the preparer tax-related details very similar to his co-workers. Even though his details were false and completely manufactured, he was able to have a tax return prepared and filed, and received a similarly large refund. The man outright committed a tax crime. And he allowed the unsuspecting return preparer to aid him in doing so. Of course, those benefiting clients are completely in favor of patronizing these “refund shops”. The clients receive an annual windfall refund, with no apparent repercussion from the IRS. Then, when investigated, they almost always argue that they didn’t realize that their returns were incorrect, to shield themselves from legal punishment. And it is the preparer that is prosecuted. In other words, the tax professional is held responsible for knowingly preparing a false return that he didn’t know was false. There is, and should be, legal accountability, meaning responsibility under the law. 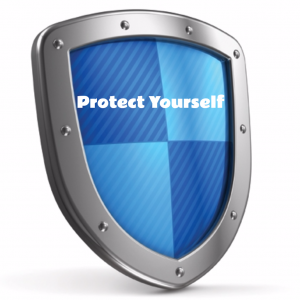 That legal accountability is presumed among preparers and their clients. However, when challenged by the IRS Criminal Investigation Division or the Illinois Department of Revenue, the government must establish that there was a willful violation of the law. In many cases, the government’s requirement of proving willful conduct is the preparer’s best avenue for defending his or her innocence. This defense is best not done yourself, but by a criminal tax attorney. The lawyer may need to make legal arguments, analyze evidence, understand procedure, etc. Remember, this becomes a serious matter of criminal defense. Or even better, of avoiding this matter to become a criminal case at all. 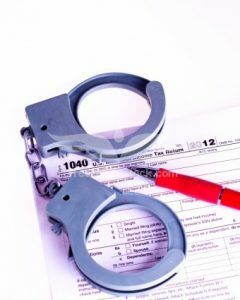 Currently, under Section 7201 of the Criminal Tax Code, when a person intentionally (willfully) tries to defeat or evade his or her income tax, he/she could be guilty of a felony. 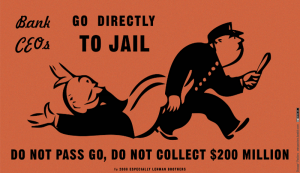 If convicted, there will be a fine of up to $100,000 and/or imprisonment up to 5 years. Also, that person would be required to repay the inaccurate tax refunds that were received. Truly, this represents a legal threat to those customers. There are similar, but less harsh, felony penalties for filing false tax returns under IRC Section 7207. But under IRC Section 7206(2), the Criminal Tax Code criminalizes preparers as well. And it is the availability of defense for tax professionals that all of you must be aware. Remember, any tax professional could become an unknowing participant in filing a fraudulent tax return. And when that happens, the client will blame the professional hired to file the return. Know when to defend yourself. And be careful out there during filing season.